Dr. Belloli is a course co-director for the Update in Pulmonary and Critical Care Medicine course. Dr. Belloli is an Assistant Professor in the Department of Internal Medicine, Division of Pulmonary and Critical Care Medicine. Dr. Chey is the course director for the FOOD: The Main Course to Digestive Health conference. Dr. Chey is a Professor of Medicine, Director of the GI Physiology Laboratory, and Co-Director of the Michigan Bowel Control Program. He serves as a member of the Board of Trustees and Practice Parameters Committee of the American College of Gastroenterology. He is a member of the Board of Directors of the Rome Foundation and Advisory Board of the IFFGD and is past Chair of the Clinical Practice Section (2006-2008) of the AGA. Dr. Fontana is a course co-director for the Liver Disease Wrap-Up course. Dr. Fontana is a Professor of Medicine and the Medical Director of Liver Transplantation. He also directs the Transplant Hepatology Fellowship Program. He is recognized as a national expert in translational studies involving the treatment of hepatitis B and C and the etiology and natural history of drug-induced liver disease and acute liver failure. Dr. Froehlich is the course director for the Internal Medicine Update course which takes place on Mackinac Island at Grand Hotel. Dr. Froehlich is a Professor for the Department of Internal Medicine and is the Director of the Michigan Anticoagulation Quality Improvement Initiative. Dr. Froehlich researches patterns of vascular disease, vascular disease care, predictors of care delivery, and healthcare disparities. He also focuses his research on quality improvements in practice patterns among physicians in the acute management of heart conditions. Dr. Gipson is the course director for the Updates in Nephrology for the Primary Care Provider course. Dr. Gipson is an Associate Professor for the Departments of Internal Medicine and Pediatrics & Communicable Diseases. He is also the Director of the U-M Glomerular Diseases Clinic. Dr. Lok is a course co-director for the Liver Disease Wrap-Up course. Dr. Lok is the Alice Lohrman Andrews Research Professor in Hepatology in the Department of Internal Medicine. She is also Director of Clinical Hepatology and Assistant Dean for Clinical Research in the University of Michigan Medical School. Dr. Lok's research focuses on the natural history and treatment of hepatitis B and C, and the prevention of liver cancer. "I continue my role as course co-director for the Liver Disease Wrap-Up because I am able to share knowledge with my colleagues, improve care of patients with liver diseases and meet and connect with colleagues with whom we share patients and to learn from each other." Dr. Oral is the course director for the Update on Arrhythmias and Syncope course. Dr. Oral is a Huetwell Professor in the Department of Internal Medicine, Division of of Cardiovascular Medicine and the Director of the Cardiac Arrhythmia Service. Dr. Pop-Busui is the course director for the Health Delivery and Technology in Today's Diabetes Care course. 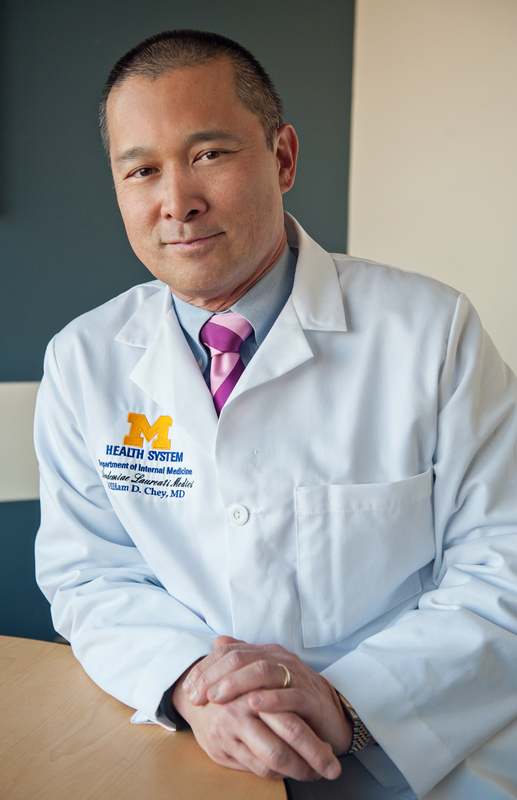 Dr. Pop-Busui is a Professor in the Department of Internal Medicine, Division of Metabolism, Endocrinology and Diabetes (MEND) and co-Director of the Neuropathy Center at the University of Michigan. She also leads the diabetes complications clinic at the University of Michigan. Dr. Rice is a course co-director for the Gastroenterology Update: A Case-Based Approach to Common GI Problems course. Dr. Rice is an Assistant Professor for the Department of Internal Medicine, Division of Gastroenterology as well a the Medical Director for the Gastroenterology Inpatient Service. Dr. Saad is a course co-director for the Gastroenterology Update: A Case-Based Approach to Common GI Problems course. Dr. Saad is an Assistant Professor for the Department of Internal Medicine, Division of Gastroenterology. Dr. Shea is the course director for both the Internal Medicine Spring Review as well as the Cardiology Update course which takes place on Mackinac Island at Grand Hotel. Dr. Shea is a Professor for the Department of Internal Medicine, Section Head for the Cardiovascular Medicine Outpatient Services and Clinical Education as well as the Co-Director of the Aortic Valve Clinic. Dr. Shea states "I enjoy the lifelong process of learning. As course director, I have to pay attention to the speakers, be ready to ask questions of the speakers, and help clarify the audience questions. This further enhances my learning."